I had the privilege of following Malala Yousafzai, onand off, for six months in 2009, documenting some of the most critical days of her life for a two-part documentary. We filmed her final school day before the Taliban closed down her school in Pakistan’s Swat Valley; the summer when war displaced and separated her family; the day she pleaded with President Obama’s special representative to Afghanistan and Pakistan, Richard Holbrooke, to intervene; and the uncertain afternoon she returned to discover the fate of her home, school and her two pet chickens. A year after my two-part documentary on her family was finished, Malala and her father, Ziauddin, had become my friends. They stayed with me in Islamabad. Malala inherited my old Apple laptop. Once, we went shopping together for English-language books and DVDs. 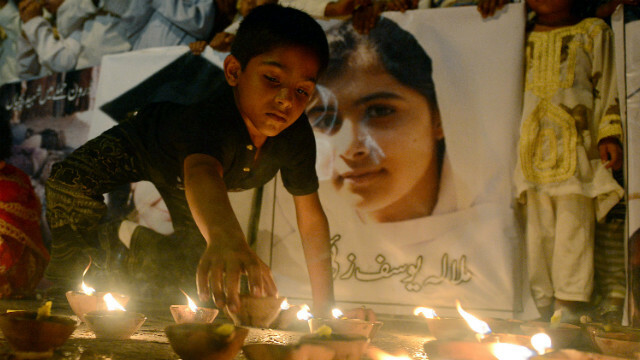 When Malala opted for some trashy American sitcoms, I was forced to remind myself that this girl – who had never shuddered at beheaded corpses, public floggings, and death threats directed at her father — was still just a kid. Today, she is a teenager, fighting for her life after being gunned down by the Taliban for doing what girls do all over the world: going to school. The Malala I know transformed with age from an obedient, rather shy 11-year-old into a publicly fearless teenager consumed with taking her activism to new heights. Her father’s personal crusade to restore female education seemed contagious. He is a poet, a school owner and an unflinching educational activist. Ziauddin is truly one of most inspiring and loving people I’ve ever met, and my heart aches for him today. He adores his two sons, but he often referred to Malala as something entirely special. When he sent the boys to bed, Malala was permitted to sit with us as we talked about life and politics deep into the night. I hope Malala gets better.